Displays the gauge's layout properties in XML. 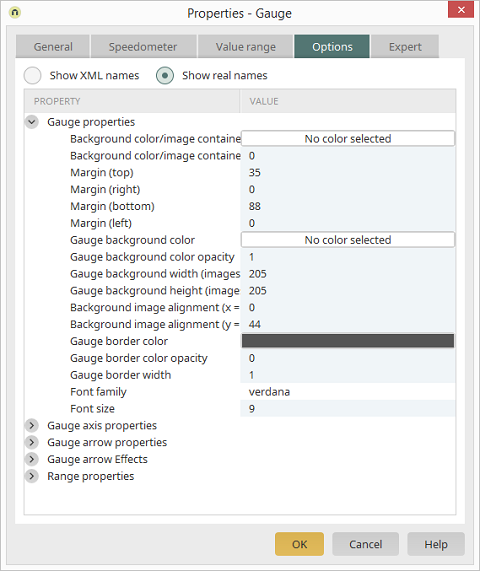 Displays the names of the gauge's individual layout properties. More information on possible adjustments can be be found in the API for the third-party solution amCharts.